Hazel Platt, practice leader with Grant Thornton. 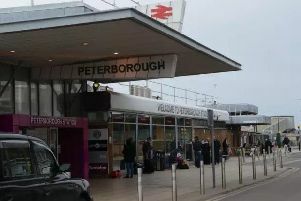 The number of young people opting for apprenticeships with employers in Peterborough has dropped by 25 per cent, according to new figures. The decline has triggered concern that firms are not doing enough to develop the next generation of talent to support their growth. Many firms are also thought to be missing out on funds from the Apprenticeship Levy to pay for training. Figures released by business advisers and accountants Grant Thornton show the number of apprenticeship starters in Peterborough was 960 in 2015/16 and rose to 990 in 2016/17 - up 3.2 per cent. However, that fell by 25.3 per cent to 740 in 2017/18. Across the East of England 45,000 people took up apprenticeships in 2016/17. That slipped to 37,000 in the following year - a drop of 18 per cent. Across the country, 375,800 apprenticeships were started in 2017/18 – a 24.1 per cent drop compared to 2016/17. Nationally, it is thought 20 per cent of Apprenticeship Levy paying employers have taken on an apprentice, leaving more than £3 billion untouched by businesses. Hazel Platt, practice leader from Grant Thornton, said: “Businesses continue to operate in a market of uncertainty as the Brexit saga continues. “Having the right people in place to weather the road ahead, or seize new opportunities , will be a key differentiator of successful firms.